If you’re a HubSpot user, you already know how powerful of a tool it is. Add an integration into the mix, and you’re suddenly cooking up the perfect recipe for success. This is the story of how we used not one, but two HubSpot integrations (WordPress and Gravity Forms) to construct a lead generating machine! SwimEx has been producing the industry’s best conditioning and hydrotherapy pools and plunge tanks for over 30 years. The company is renowned for building superior plunge tanks, hydrotherapy, and resistance pools for all-star teams such as the New York Yankees, New England Patriots, LA Lakers, and Chicago Cubs. 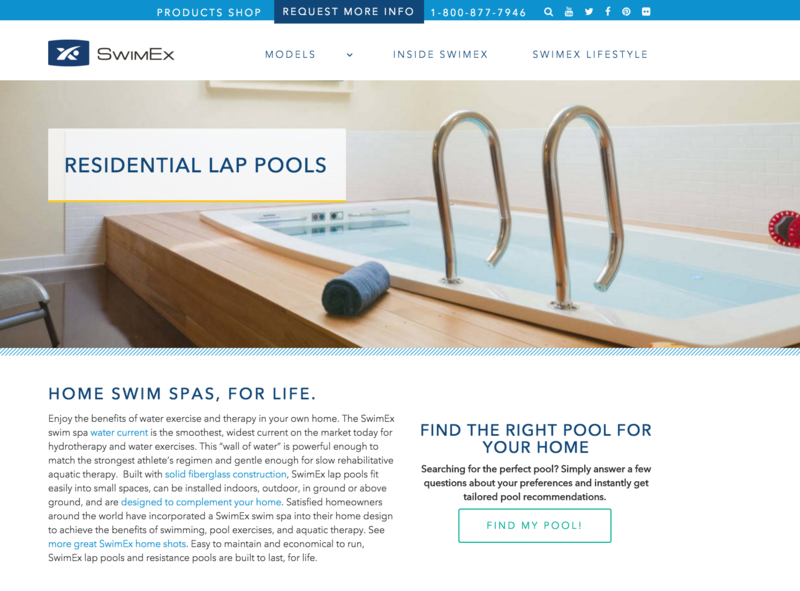 SwimEx also offers stunning swim spas for homeowners. Their challenge to us was to increase their residential leads by creating an offer that homeowners would find valuable. Of course, we also had to build this offer while staying within the budget, and using tools that we already had access to. We knew that if SwimEx wanted to boost their homeowner persona leads, we needed to create an offer that was more interactive and unique than your typical eBook or whitepaper. 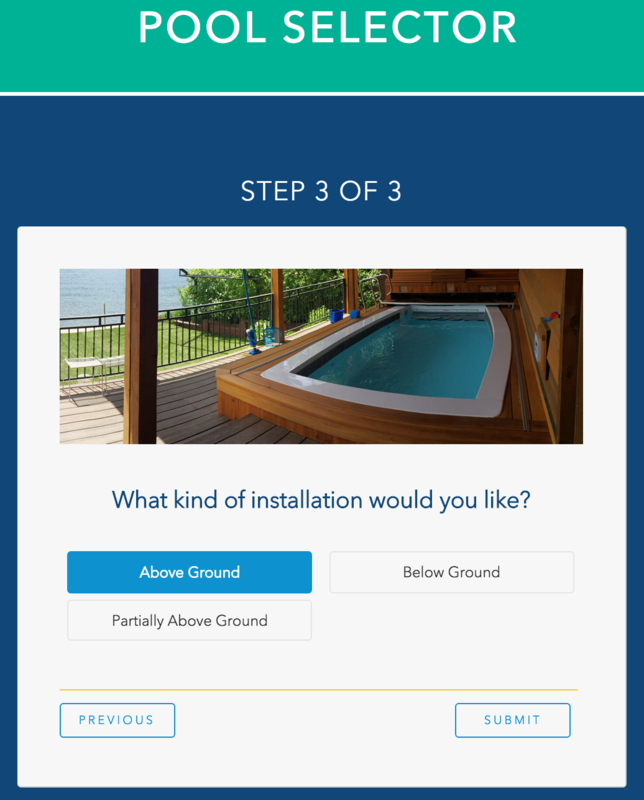 This led us to the idea of a Pool Selector, where site visitors could input their answers to various questions about their lifestyle and preferences, and instantly receive swim spa model recommendations. 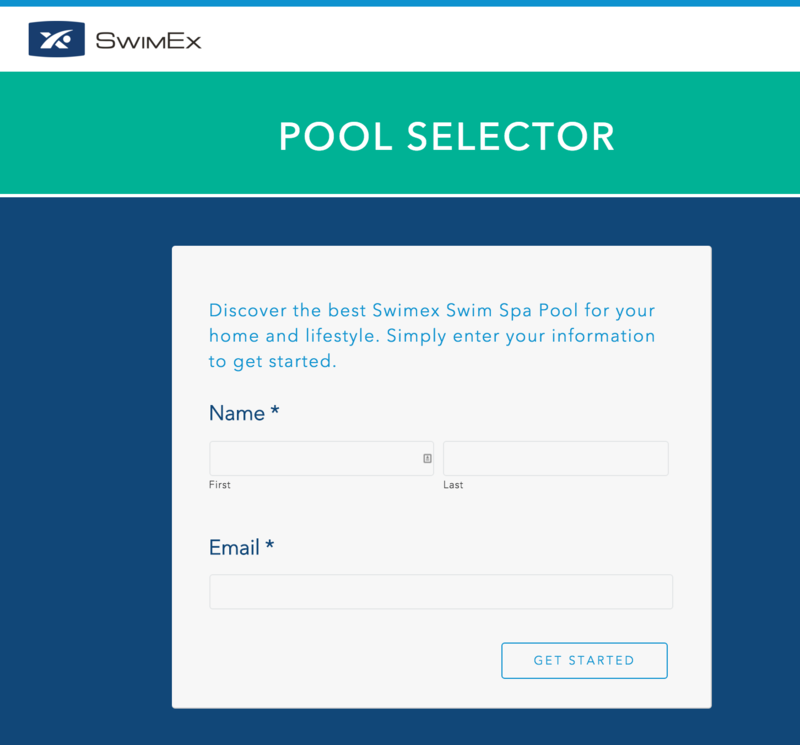 After coming up with the questions and logic behind which responses would yield which pools, our developer built the Pool Selector on the WordPress site using Gravity Forms. By using a sort of multiple choice format and some web design magic, the form was turned into an attractive, fun quiz. We already had been using the HubSpot for WordPress plugin that allows HubSpot customers to integrate their WordPress websites with HubSpot so all of their analytics are in one place. All we had to do was integrate Gravity Forms with HubSpot so that we could capture users’ information, and we were ready to launch! Of course, you can create the greatest offer in the history of inbound marketing, but if you don’t promote it correctly, what’s the point? No one is going to see it. We designed a call-to-action to insert at the end of the blog posts published for the campaign. If a website visitor is reading a post titled “The Most Beautiful Home Swim Spas Across the Nation,” it’s pretty likely that they’re interested in planning (or at least dreaming about!) which swim spa would be a great fit for their space. 50% Increase in New Leads Generated from the Month of November Compared to October – Since the launch of the Pool Selector on November 10th, leads have been significantly climbing (not to mention that we started from scratch on HubSpot in August!). One thing that made this project so great was the collaboration between the account manager, marketing team, web developer, and the client. This integration solved our problem by generating a stream of homeowner leads for the sales team. It was the perfect storm of educating website visitors and taking them from ‘just looking’ to a qualified lead, and meeting our client’s goals. “We are thrilled with the results. 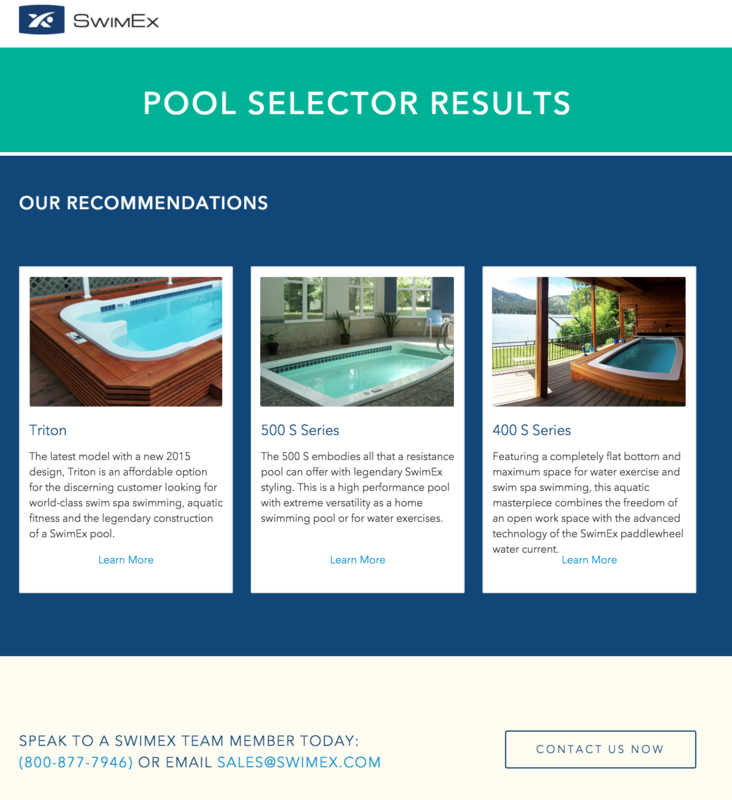 The Pool Selector met both our creative expectations and our marketing goals. When that happens you know it’s a successful campaign.” Deb Cox, SwimEx Director of Marketing. We look forward to watching SwimEx grow and make an even bigger splash with their inbound marketing in 2016! How to successfully go through TSA lines with video equipment.